Conyac is a global translation crowdsourcing service. If you speak more than one language, you can register as a translator and work at your own convenience. After registering, you can work on translations anytime, anywhere, and get paid. There is no test to become a translator. If you're new to translation, you can just start with short sentences and build up your skills little by little. Translate as much or as little as you like in your spare time. Busy? Conyac is just the service for you. Translation work is available 24/7/365, so you can do it when it fits your schedule. Conyac’s translation work covers a variety of fields, from short emails to specialized technical translation. Translate what you’d like in your spare time and in your field of expertise. The harder you work the more compensation you will receive. 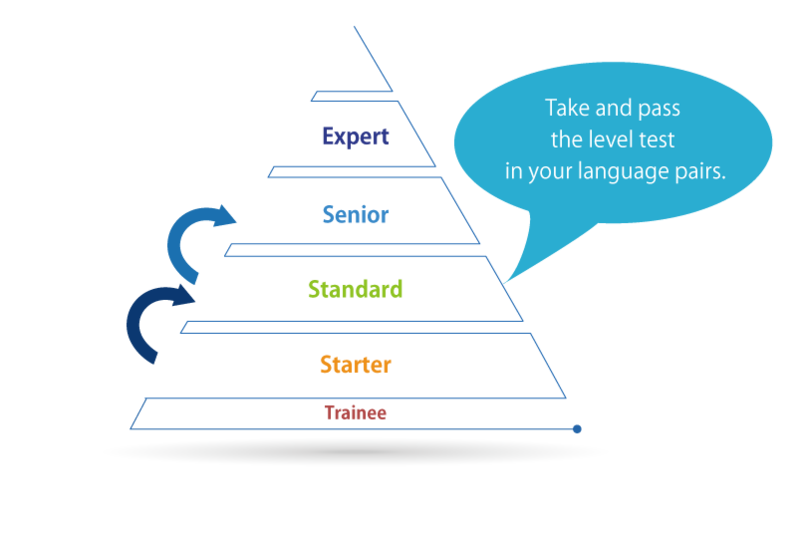 On Conyac all translators have a rating, the higher your level, the greater your compensation may become. There are many different levels of translators on Conyac, ranging from beginners to professionals. Users can ask each other questions, exchange information, and learn from each other in a friendly atmosphere. Receive reviews from other translators and identify were your translations may have been lacking. Conyac is a great way to connect with other translators all around the world! After registering on Conyac you can start accepting translation requests right away. You will also be able to participate in Conyac's translation contests. Whether you are bilingual, multilingual, or studying a foreign language, we welcome your registration!